Haulage in UK has been through a large integrated network of carriers serving with all allowed loads from sprinter van load, to 7.5 tonnes, to 18 tonne load to Euroliner vehicles load (up to 44 tonnes gross which is UK’s maximum weight allowed for road transport in UK– incl. truck and fuel and load-) to curtain siders and other heavy transport trucks. Using the service directory of haulage in UK and EU as well as HGV route planners and express and standard services. 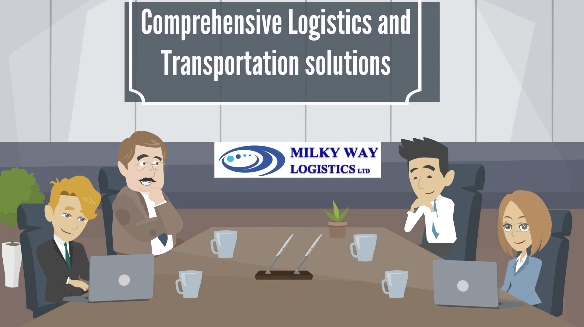 Milky Way Logistics Limited is a London based fast growing freight forwarding company that is more focused on haulage in UK and EU but extending activity to all over the World. Being concentrated in haulage in UK, EU and to almost any destination in the World is through road transport in UK to all major airports, seaports and other overland destinations including door to door services in Europe as well as air transport arrangements through almost all major airliners and and ocean freight arrangements through well known shipping lines. Being part of the most reputable and well-known logistics and freight forwarding networks of the World, Milky Way Logistics Limited has been able to provide first class services for haulages in UK and EU. The haulage services ranges from single small package of personal belonging to a pallet within or out of the UK to commercial cargos of FCL (Full Container load), LCL (Less than a Container Load), FTL (full truck load), LTL (less than truck load), and Milky Way Logistics Limited, benefiting from professional and experienced logisticians and through its well connections to carriers, airliners and hauliers throughout the World, makes it the softest experience for haulage in UK and elsewhere. Haulage services could include collection of goods from the shippers point, transporting to the airport or seaport or the delivery point depending on the required mode of transport, arrangements of custom clearance, export formalities and documentation and dealing with the corresponding shipping lines or airlines or hauliers for haulage documents including the bill of lading or airway bill or CRM or FCR and completing the process of haulage in UK covering the shipments under any international transport term from ExW to DDU. Road Haulage UK services could be a complex practice as there are governmental essentials for international haulage including security and environmental rules and legal regulations especially for the businesses who are involved in cross border trades. As a result a forwarding agent who is an expert and is well aware of all import and export and commercial rules and governmental regulations such as restricted items, VAT, custom, duty, excise duty, insurance and etc could avoid risks. Road Haulage UK services offered by Milky Way Logistics Ltd includes assessment of rates of service providers for the customer to assure the best service at its best and most competitive price.